Kenyan born, Betts earliest memory of "gearing up" was of preparing to climb Mount Kilimanjaro with her father as a young girl. Lorraine later explored the world as a zodiac driver in the polar regions and as a cruise director in the tropics for over a decade. Her first, of 62, Antarctic expedition was in 1983. In 1991, Lorraine founded her first on-board retail company. Over the past two decades she has used her extensive expedition experience and design and manufacturing knowledge to outfit expedition cruise staff, deck crew and passengers with destination-specific gear. 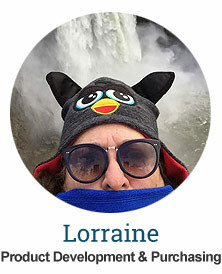 Environmental stewardship ranks highly on Lorraine's priority list. As part of her ongoing commitment, she works with One Percent for the Planet and has forged relationships with conservation groups. Our financial and spreadsheet wizard, Liana has been with Ship to Shore Traveler for over a decade and enjoys the fun, flexible atmosphere. An active outdoor enthusiast, Lianna enjoys snowboarding and exploring the beautiful Pacific Northwest. She is a graduate of the University of Washington with a degree in South East Asian studies and has returned to her parents home country, Cambodia, over six times. A lifelong world traveler, Annie hails from Australia and her relationship with Ship to Shore Traveler spans over a decade. Annie manages the online operations and marketing of Ship to Shore Traveler. She has explored all seven continents. Tropical Bali and the polar regions, Antarctica and the North Pole, are dearest to her heart. 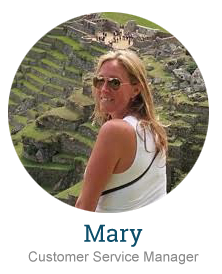 Mary started working in the Adventure Travel industry in 1998 where she got bitten by the “travel bug” after her first trip to the Federated States of Micronesia. In all, she has traveled to six continents including Antarctica and hopes to complete her seventh continent to Africa soon. Mary is incredibly excited to be part of the Ship to Shore Traveler team and to help others plan and get properly outfitted for their own adventures of a lifetime. After managing two of Ship To Shore Traveler's expedition ship shops, Stella Sandapin brings an obvious aplomb at handling orders and an expert knowledge of global destinations. Stellas warmth and familiarity with numerous adventure cruise companies consolidated our decision to welcome her to our team. Stella also serves as co-coordinator for private jet charters for a worldwide affiliate. She commutes to work by bus, raising our green quotient. Margarite served as Ship to Shore Traveler's first employee and remains with us today. Margarite has packed more boxes and duffles than any other Ship to Shore Traveler employee. Margarite has also worked on board our unique expedition ships shops as a manager and a staff assistant. 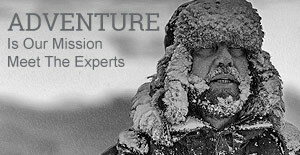 Her adventurous spirit has taken her to the Amazon, Antarctica and the Arctic. Margarite has worked in our distribution warehouse since 1991 and continues to manage the Seattle warehouse. Lay first began working for Ship to Shore Traveler in 2001, sewing flight bags and patches. Lei continues to perfect our custom adjustments to expedition gear and keeps our Seattle based office and warehouse a model of polished efficiency. She is the proud mother of Lianna and an integral part of the Ship to Shore Traveler family. Michael is a avid traveler and outdoor enthusiast. He monitors and keeps all our back-end systems functioning the way we like them to. He also manages the Ushuaia, Argentina depot staff during the Antarctica season and has been instrumental in streamlining delivery and rental procedures. Debbie was born and raised in Cape Town, South Africa. Seven is a significant number in her life: she traveled the world onboard a cruise ship for seven years and has visited all seven continents… Her travel background, combined with superb organizational skills and easy-going nature makes her a perfect match for our team. 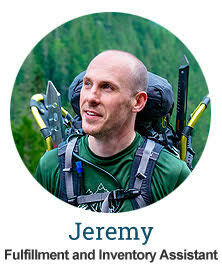 Jeremy was raised in the snow mountains of New England and is an avid backpacker, mountaineer (he summited Mt. Rainier) and outdoor gear enthusiast. Among his travel achievements are hiking around Asia and South America. His favorite place in the world is the Amazon Rain forest in Ecuador. 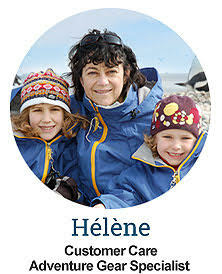 A native of the Seychelles Islands, Hélène earned her sea legs clocking dozens of Drake Passage crossings. She counts her highlights as reaching the North Pole and circumnavigating Antarctica on a nuclear icebreaker. However, being an islander at heart the hot climates of the islands of the Indian Ocean and the South Pacific remain a favorite. Hélène draws from her years of experience working on expedition ships to remote areas to offer valuable tips and recommendations to guests on how to gear up for their adventures. 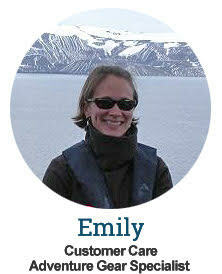 Emily began her travels at age of nine, when she and her family explored the United States on a month-long camping trip. Since then she has backpacked around the world exploring six continents and 23 countries, visited Antarctica where she experienced nearly all that the "White Continent” has to offer, including the polar plunge. And, more recently, explored the Galápagos Islands and Ecuadorian Amazon. Emily has a true passion for the outdoors and travel, and is both proud and excited to be able to assist in outfitting others for travel to many of the same venues she has enjoyed. 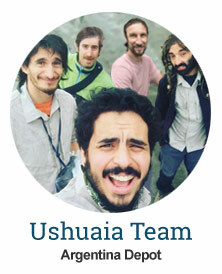 During Antarctic season our Ushuaia team (left to right Matias, Nicolás, Facundo, Juan and Ezequiel in front), ensure every rented pair of boots, pants, or poles arrives spotlessly clean in your stateroom aboard the ship before you arrive. In their free time, the team enjoys hiking, mountain climbing, and traveling South America and around the globe, stress-testing our gear. Emma was born and raised in Seattle. She has been testing gear all her life, starting as a toddler when her mom dressed her in the latest expedition gear for infants during their visit to Antarctica. Emma has explored six continents (just missing Australia). She is pursuing an Art history major at Scripps College in California when she is not working in the capacity of Head Gopher at Ship to Shore Traveler. Paid in treats, Miss Mei never misses a day at work. Our canine companion does what dogs do best: waits for the UPS Driver. After seven years with Ship to Shore Traveler, she is on a first name basis with Lay, our Gear Customization Expert, Paul from FEDEX, and Tim the Postman. Miss Mei spends her weekends at Washington's picturesque Lake Entiat. Until he came to work for Ship to Shore Traveler, Huber’s idea of adventure travel was to take an Uber with a driver carrying less than a four-star rating. Although as you can see, he once canoed into the wilds around Husky Stadium in Seattle. Took him months to shake the malaria. Huber maintains our web sites and back-end systems. When not slinging code, he enjoys time with his wife, Laura, and two daughters, Madeline and Isabelle, both of whom adore him… for now.